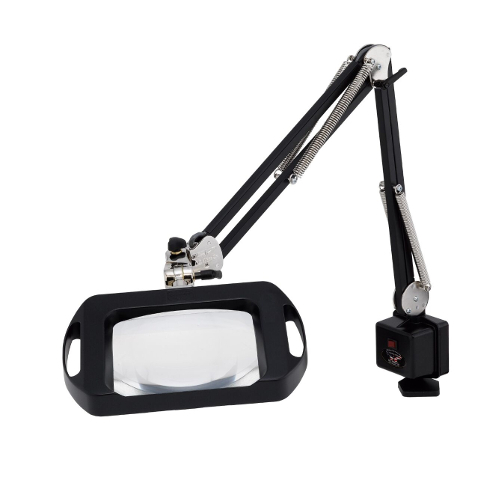 VISION-LITE® fully dimmable magnifier. This is the largest and clearest magnifier on the market. This is the worlds first and only dimmable fluorescent illuminated magnifier. A patented state of the art microchip controlled ballast technology allows the Vision-Lite® to be dimmable from 100% down to 25%.